The USS Carl Vinson pulls into Pearl Harbor, Hawaii on Tuesday, making its first stop on U.S. soil since burying Osama bin Laden at sea last month. 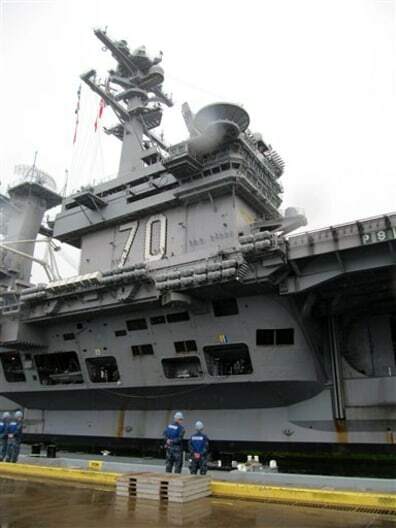 The massive carrier and its 5,500 sailors, pilots and crew were returning home from their deployment to the Middle East and Asia that began Nov. 30. It spent 171 of 191 days at sea and sailed more than 52,340 nautical miles.